Welcome to Lusse Auto Scooters! Check out these videos — Click links below! Lusse Auto Scooters FOR SALE! First patented 1921 Skooter ride! TRIM / 12V CONVERSION KIT AND MORE! to 12V (driveable on any hard flat surface). Fresh paint and many new parts. 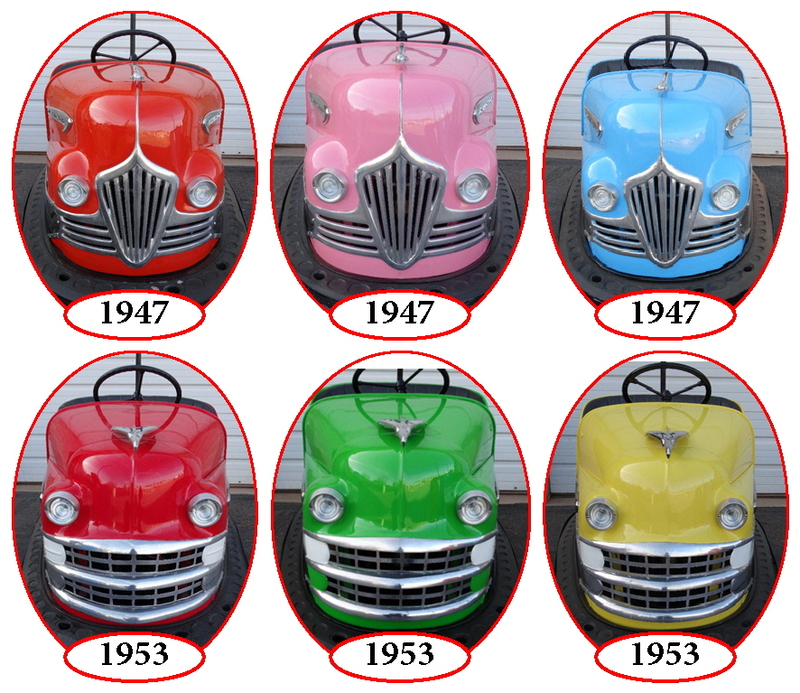 -- Six beautiful, solid metal body bumper cars -- Be the first on YOUR block! BUY ONE OR BUY ALL... OWN A PIECE OF AMERICANA. Once-in-a-lifetime opportunity for collectors and kids of any age! Freewheeling Classic Bumper Car Frenzy!